Dr. Karen Martin-Phillips is a graduate of Boston College where she received a BS in Biology, and Tufts University School of Dental Medicine where she earned a DMD. She practiced for many years as an associate dentist before deciding to open her own practice in 2006. Dr Martin-Phillips is a member of the American Dental Association and Massachusetts Dental Society. She regularly attends continuing education courses in different fields of dentistry. She is a life long resident of the area. Her emphasis on patient comfort as well as keeping current with the latest advancements in dentistry enable her to provide her patients with the best quality of care in the field. 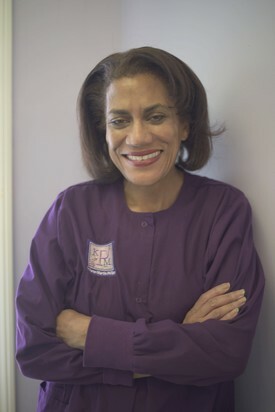 Dr. Martin-Phillips has a wide range of experience in different areas of dentistry. Her team centered approach to treatment starts with patiently listening to her patient. Then, after a complete and thorough examination, she and her team review and discuss the diagnosis and treatment options with you. Her patients are always welcome to ask any questions they may have about the proposed treatment or any other dental concerns.